Actually 1 scandium and 10 zinc are not really proper transition metals, they are not very 'colourful' in their chemistry!, they only form one colourless ion and are not noted for their catalytic activity, a bit dull really!, but zinc is a useful metal as are all the true transition metals titanium, vanadium, chromium, manganese, iron, cobalt, nickel and copper! The physical properties of Transition Metals like density, melting points, boiling points, strength are described and discussed along with a description of the important transition metal chemical properties of e.g. titanium, vanadium, manganese, iron, cobalt, nickel, copper and zinc. There are also sections on how transition metals can be improved to increase their usefulness e.g. alloys and they are compared with the important 'non–transition' metals like aluminium, tin and lead. These notes on transition metals describing their physical properties, chemical reactions and uses are designed to meet the highest standards of knowledge and understanding required for students/pupils doing GCSE chemistry, IGCSE chemistry, O Level chemistry, KS4 science courses and a basic primer for an advanced level chemistry courses (see A Level links). These revision notes on the alkali metals should prove useful for the new AQA, Edexcel and OCR GCSE (9–1) chemistry science courses., but look for separate links for A level students (see below and near the bottom of the page). True transition metals usually form many coloured compounds (e.g. blue copper salt solutions) and are used in paint pigments, pottery glazes, stained glass windows and you observe weathered copper roofs turn green! Iron(III) oxide has been used from prehistoric times as a red-brown pigment (red ochre). The colour usually originates from a transition metal ion in the compound e.g. Cu2+ or Fe3+. Many transition metals e.g. iron and platinum are used as catalysts. Many transition metal compounds also show catalytic activity. True transition metals have variable valencies (numerical combining power with other elements) giving rise to different formulae when combined with same elements. scandium only forms one, Sc2O3 and zinc one, ZnO, and neither scandium nor zinc give coloured compounds due to their metal ions (Sc3+ and Zn2+), and neither do they show any real potent catalytic activity, so scandium and zinc are NOT true transition metals. All of these three points are further elaborated on in the notes below with more transition metal examples explained in the process. Where are the Transition Metals Series in the Periodic Table? The basic structure of the Periodic Table and where are the 'Transition Metals'? Reminders on the periodic table and where you find transition metals. A Group is a vertical column of like elements e.g. Group 1 The Alkali Metals (Li, Na, K etc. ), Group 7 The Halogens (F, Cl, Br, I etc.) and Group 0 The Noble Gases (He, Ne, Ar etc.). The group number equals the number of electrons in the outer shell (e.g. chlorine's electron arrangement is 2.8.7, the second element down in Group 7). A Period is a complete horizontal row of elements with a variety of properties (more metallic to more non–metallic from left to right). All the elements use the same number of electron shells which equals the period number (e.g. sodium's electron arrangement 2.8.1, the first element in Period 3). Metals tend to be on the left and in the middle of the periodic table and the transition metals are no exception. The transition metals occupy the bottom–middle part of the Periodic Table above, and just the first series are shown in the above diagram. Many of them by name and their uses should be quite familiar to you e.g. titanium, iron, nickel and copper. so the Transition Metals Series are just a horizontal section of a period ie a block of elements, in the middle of the Periodic Table. ... chromium Cr, manganese Mn, iron Fe, cobalt Co, nickel Ni and copper Cu. By the time you have reached the study of transition metals, you will have already studied the very reactive group 1 alkali metals with their relatively uncharacteristic physical properties. So its useful to highlight some of these differences. Transition metals have much higher melting points than group 1 elements - stronger metallic atomic bonding (except mercury). Transition metals have higher densities than group 1 alkali metals, non of them float on water! Transition metals are less reactive than group 1 alkali metals towards oxygen, water and halogens like chlorine. Transition metals form coloured ions with different charges, hence different coloured compounds (eg blue copper sulfate solution, brown iron oxide rust etc.). Group 1 alkali metals have only one outer electron, that is easily lost, and so form only one stable ion and they are colourless ions (think of the salt sodium chloride). Transition metals have more than one electron in the outer shell and more of these electrons can be involved in bonding e.g. forming 2+, 3+ and even 4+ ions and more complicated ions like MnO42- etc., so the chemistry of transition metals is much more complicated - more diverse colourful ions and more interesting! Generally speaking transition metals are hard, tough and strong (compared with the 'soft' Group 1 Alkali metals!) because of the strong metallic atom–atom bonding. Transition metals are good conductors of heat and electricity (there have many free electrons per atom to carry thermal or electrical energy ). Transition metals are easily hammered and bent into shape (malleable). Transition metals can be drawn out into strong wire (ductile). Transition metals are typically lustrous/shiny solids. The bonding between the atoms in transition metals is very strong (see metallic bonding notes). The strong attractive force between the atoms is only weakened at high temperatures, hence the high melting points and boiling points (again this contrasts with Group 1 Alkali Metals). Mercury is in another transition metal (actually in the 3rd series of transition metals), but unusually, it has a very low melting point of –39oC. More typically, for example: iron melts at 1535°C and boils at 2750°C BUT a Group 1 Alkali Metal such as sodium melts at 98°C and boils at 883°C. Another consequence of the strong bonding between the atoms in transition metals is that they are tightly held together to give a high density. For example: iron has a density of 7.9 g/cm3 and sodium has a density of 0.97 g/cm3(and floats on water while fizzing! water has a density of 1.0 g/cm3). There are several important chemical characteristics of transition metals you should be very aware of. (i) Transition metals form at least two different coloured ions, so at least two series of compounds such as oxides or chlorides can be prepared. You find the colours in many gem stones are due to transition metal ions/compounds in these naturally occurring minerals e.g. aquamarine is blue due to iron compounds, green emeralds due to iron and titanium ions, red and blue sapphires owe their different colours to traces of iron, titanium, chromium and copper ions/compounds, deep red garnets due to iron compounds, red rubies due to chromium compounds. You see the green colour of copper compounds on weathered copper roofs. Iron compounds are often green, orange or brown. e.g. rust is a red–brown hydrated oxide of iron. The best examples are the stained glass windows in many churches, some glass colours go back over 1000 years in some medieval stained glass windows. Copper compounds are often green or blue e.g. copper carbonate or copper sulfate crystals. (ii) Transition metals and their compounds often have good catalytic properties (see section (e) for lots of examples e.g. iron catalyst in the Haber synthesis of ammonia. They tend to be much less reactive than the Alkali Metals. Transition metals do not react as quickly with water or oxygen so do not corrode as quickly. Many transition metals will react slowly with acids, unlike magnesium for example. Transition metals tend to form more coloured ions and compounds more than most other elements either in solid form or dissolved in a solvent like water. Examples of the colours of some transition metal salts in aqueous solution are shown below (grey = colourless in the diagrams). These transition metal coloured ions/compounds often have quite a complex structure and indeed are called complexes. Scandium isn't really a transition metal, but don't worry about it! Fe – iron(III) chloride, FeCl3, is yellow–orange–brown. Iron(II) compounds are usually light green and iron(III) compounds orange–brown. Some iron compounds are blood red in colour e.g. the oxygen carrying haemoglobin molecule in your blood stream! Co – cobalt sulphate, CoSO4, is pinkish, it is the Co2+ ion that is pink, cobalt also forms a Co3+ ion of different colour. Ni – nickel chloride, NiCl2, is green, its the Ni2+ ion that is green in solution. Cu – copper(II) sulphate, CuSO4, is blue, its the Cu2+ ion that is blue in solid crystals and in solution. Most common copper compounds are blue in their crystals or solution and sometimes green. it dissolves to form the deep royal blue ion: *[Cu(H2O)2(NH3)4]2+(aq). *are called complex ions and when coloured are typical of transition metal chemistry. Copper(II) oxide, CuO, black insoluble solid, readily dissolving in acids to give soluble blue salts e.g. and greeny–blue copper(II) chloride, CuCl2, from dilute hydrochloric acid. Copper(II) hydroxide, Cu(OH)2, blue gelatinous precipitate formed when alkali added to copper salt solutions. Copper's valency or combining power is usually two e.g. compounds containing the Cu2+ ion. However there are copper(I) compounds where the valency is one containing the Cu+ ion. This variable valency, hence compounds of the same elements, but with different formulae, is typical of transition metal compounds e.g. or copper(I) sulphate, Cu2SO4, a white solid (crystals of CuSO4 are blue). Zn – zinc salts such as zinc sulphate, ZnSO4, are usually colourless and are not typical of transition metals. Zinc isn't really a transition metal, but don't worry about it! See Acids, Bases and Salts page for the preparation of Transition Metal Salts from insoluble oxides, hydroxides or carbonates (insoluble bases). Many of the transition metal carbonates are unstable on heating and readily undergo thermal decomposition. The carbon dioxide can be confirmed by giving a white milky precipitate with limewater. These reactions can be used to help identify transition metal ions in solution. A precipitation reaction happens when two solutions (of soluble substances) are mixed together and a solid product (insoluble) precipitates out of the mixed solution. For these reactions the ionic equation is ..
which gives a blue copper(II) hydroxide precipitate with sodium hydroxide solution. For these two reactions the ionic equation is .. Note that the copper ion can be also detected by its flame colour of green–blue. The flame test is conducted by dipping a nichrome (cheap)/platinum (expensive) wire into a copper salt solution and placing the end of the wire plus drop into the hottest part of a roaring bunsen flame when you see flashes of blue and green colour. which gives a white zinc hydroxide precipitate with sodium hydroxide solution. For this reaction the ionic equation is .. However, unlike the other precipitates described above, zinc hydroxide dissolves if excess sodium hydroxide solution is added i.e. add a lot more and the result is a clear colourless solution of another zinc compound formed by the extra hydroxide ions reacting with the zinc hydroxide. The above four hydroxide precipitate reactions are illustrated in the diagram below. These transition metal hydroxide precipitates are basically solids, but of a somewhat gelatinous nature because they incorporate lots of water in their structure. The above coloured hydroxide precipitates contrast with the white hydroxide precipitates given by some non–transition metal ions e.g. Aluminium hydroxide dissolves in excess sodium hydroxide to give a clear colourless solution, but magnesium hydroxide and calcium hydroxide do not behave in this way. Also note that iron has two valencies or combining power giving different compound formulae. Multiple valency, hence multiple compound formation, is another characteristic (but not unique) feature of transition metal chemistry. The valency of chlorine is 1 and iron can have a combining power of 2 (II) or 3 (III). The number in Roman numerals is the valency or combining power e.g. and CuO copper(II) oxide (once called cupric oxide). hence the need for the valency of the metal of the metal to be shown in Roman numerals. There are more details and more tests on the Chemical Identification page (use the alphabetical list at the top). The coloured nature of many transition metal compounds also shows up in the thermal decomposition of the transition metal carbonates e.g. However, this no colour change for zinc carbonate, which is, as mentioned before, NOT a typical transition metal. Many transition metals are used directly as catalysts in industrial chemical processes and in the anti–pollution catalytic converters in car exhausts. Platinum and rhodium (in other transition series below Sc–Zn) are used in the catalytic converters in car exhausts to reduce the emission of carbon monoxide and nitrogen monoxide, which are converted to the non–polluting gases nitrogen and carbon dioxide. Nickel is the catalyst for 'hydrogenation' in the margarine industry. It catalyses the addition of hydrogen to an alkene carbon = carbon double bond (>C=C< + H2 ==> >CH–CH<) Note the > and < just indicate the other bonds from carbon. This process converts unsaturated vegetable oils into higher melting saturated fats which are more 'spreadable' with a knife! As well as the metals, the compounds of transition metals also acts as catalysts. A useful reaction in the laboratory for preparing oxygen gas. Vanadium(V) oxide (vanadium pentoxide, V2O5) is used as the catalyst in converting sulfur dioxide into sulfur trioxide as a stage in the manufacture of sulfuric acid in the CONTACT PROCESS. A very important industrial process because sulphuric acid is a widely used chemical in industry. Alloys are very useful materials and most metals in everyday use are alloys. However pure copper, gold, iron (three transition metals) and aluminium (non-transition metal) are too soft for many uses and so are mixed with other metals, converting them to alloys, and making them harder for everyday use. Bronze is an alloy of copper (transition metal) and tin (non-transition metal) and is used to make statues and decorative objects. Brass is a hard wearing alloy of copper and zinc and used to make water taps, and door fittings (e.g. door knobs). Gold used as jewellery is usually an alloy with silver (another transition metal), copper and zinc. Jewellers measure the proportion of gold in the alloy in carats. 24 carat being 100% (pure gold), and 18 carat being 75% gold. Iron is a much cheaper metal but can be made into a huge variety of steels alloys that contain specific amounts of carbon and other metals to suit a particular purpose. High carbon steel is strong but brittle whereas low carbon steel is softer and more easily shaped. More specialised steels containing chromium and nickel (two more transition metals) make stainless steels are hard and resistant to corrosion from air and water. Aluminium alloys are low density and their lightness and strength makes them a good material to use used in the aerospace manufacturing industry. Transition metals are good conductors of heat and electricity and can be bent or hammered into shape (malleable), readily drawn into wire (ductile), quite strong physically – made stronger when alloyed with other materials. This makes transition metals are useful as structural materials and for making things that must allow heat or electricity to pass through them easily and useful construction materials. Pure copper, gold, iron (transition metals) and lead and aluminium (non–transition metals) are too soft for many uses and so are mixed with small amounts of similar metals to make them harder for everyday use. 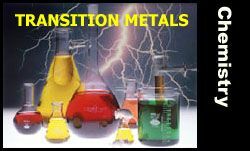 Transition metals are extremely useful metals on account of their physical or chemical properties eg lack of corrosion and greater strength compared to the Group 1 Alkali Metals. An alloy is a mixture of a metal with other elements (metals or non–metals). transition metals can be mixed together to make alloys to improve the metal's properties to better suit a particular purpose. A transition metal alloy mixture often has superior desired properties compared to a pure transition metal i.e. the alloy has its own unique properties and a more useful metal. Many transition metals are used in alloys, with a wide range of applications and uses. An ALLOY is mixture of metal with at least one other metallic or non–metallic substances – usually other elements. By mixing metal with metal (and sometimes non–metals) together to make alloys you can improve the metal's properties to better suit a particular purpose. Quite often the presence of different atoms stops the layers of the metal sliding over each other when stressed so making the metal tougher (see Metal Structure for more details about metal properties and alloy behaviour under stress). The point about using alloys is that you can make up, and try out, all sorts of different compositions until you find the one that best suits the required purpose in terms of tensile/compression strength, malleability, electrical conductivity or corrosion resistance etc. For catalysts – see above. Their strength and hardness makes them very useful as structural materials. Iron is a good conductor of heat and can be bent or hammered into shape (malleable), quite strong physically – made stronger when alloyed with other materials. This makes iron useful as structural material and for making things that must allow heat to pass through easily and useful construction materials. Why make the alloy steel? Most metals in everyday use are alloys. The theory of alloys is explained in the metallic bonding notes. Steel is an alloy because it is a mixture of a metal (iron) with other elements (carbon and perhaps other metals too). Iron from the blast furnace contains about ~96% iron with ~4% of impurities including carbon, silica and phosphorus. In this state the cast iron is too hard and too brittle for most purposes. Cast iron is hard and can be used directly for some purposes eg manhole covers, railings because of its strength in compression and is hard wearing. However, if all the impurities are removed, the resulting very pure iron is too soft for any useful purpose. Therefore, strong useful steel is made by controlling the amount of carbon and selected metals to produce an alloy mixture with the right physical properties fit for a particular application e.g. steel for car bodies, chrome stainless steel, extremely hard and tough tungsten–iron steel alloys etc. The real importance of alloys is that they can be designed to have properties for specific uses. eg low–carbon steels are easily shaped for car bodies, high–carbon steels are hard, and stainless steels are resistant to corrosion etc. Versatile steel is used in building and bridge construction, car bodies, railway lines and countless other objects that need to have a high tensile strength. Cooking pans made of stainless steel are good conductors of heat, strong with good anti–corrosion properties and steel has a high melting point! Compared to iron itself, stainless steel cutlery is stronger AND will not corrode easily in contact with food fluids and washing up water! When alloyed with 0.01 to 0.3% carbon iron forms mild steel which is not brittle, but is more malleable and corrosion resistant than cast iron. Mild steel is used for food cans, car bodies (but galvanising and several coats of paint help it to last!) and machinery etc. Steel is an alloy based on iron mixed with carbon and usually other metals added too. There are huge number of steel 'recipes' which can be made to suit particular purposes by changing the % carbon and adding other metals e.g. titanium steel for armour plating. High–carbon steels (0.3 to 2.5% carbon, often with other metals too) are hard wearing and inflexible (but more brittle than low carbon steels) and can be used for cutting tool blades, bridge construction. Stainless steels have chromium (and maybe nickel) added and are rust–resistant to corrosion (from contact with oxygen & water) than iron or plain steel which readily rust. Stainless steel is corrosion-resistant and hard wearing and is used where the steel is exposed to water and air e.g. for cutlery and 'chrome' parts of road vehicles. Objects made of iron or plain steel, particularly those exposed to the weather, regularly have to be painted or coated with some other protective layer from the effects of water and oxygen. Remember! If iron or steel becomes badly corroded, there is no strength in rust!, and, the thicker the rust layer, the thinner and weaker the supporting iron or steel layer, hence the possibility of structural failure. 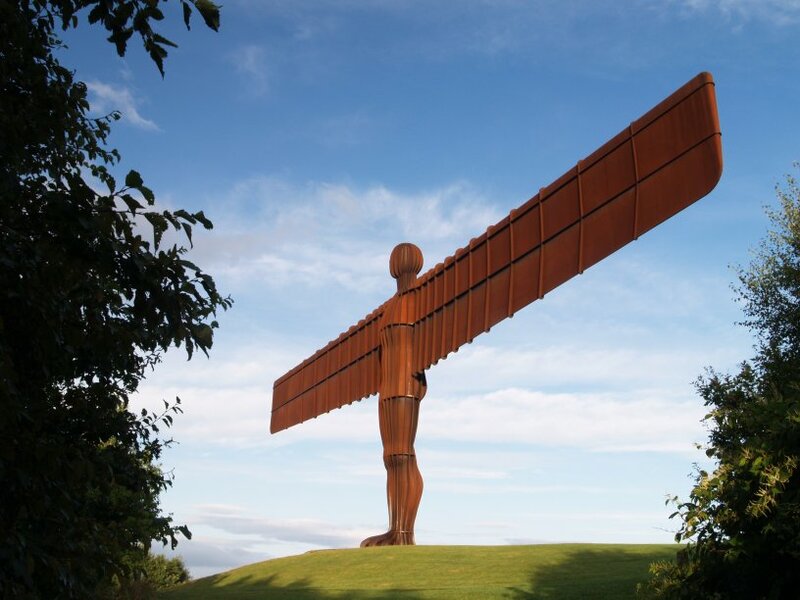 Therefore, most iron and steel structures exposed to the outside weather are maintained with a good coating of paint which may be regularly replaced. Most metals and their alloys will corrode over time, some fast like cast iron, some moderately like copper, others very slow like titanium or aluminium, stainless steel. For chemical details of rusting and its prevention see notes on Corrosion of Metals and Rust Prevention. Chromium steel (stainless steel, mixing and melting together Fe + Cr and maybe Ni too) with good anti–corrosion properties, used for cutlery and chemical plant reactors. The alloy BRASS is a mixture copper and zinc. It is a much more hard wearing metal than copper (too soft) and zinc (too brittle) and is more malleable than bronze for 'stamping' or 'cutting' it into shape. There is less friction involved in shaping brass so its easily bent and works easier than bronze when used in valves or taps. 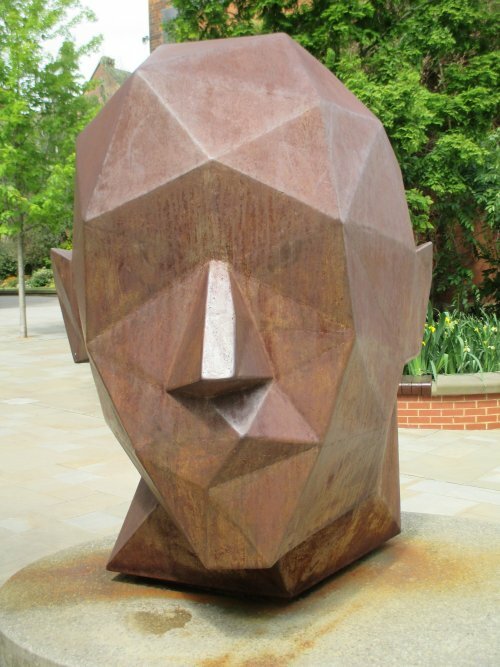 Bronze is an alloy of copper and tin, harder than brass and is used to make sculptures, medals, ornaments. Like other transition metals, copper is malleable and ductile, easily drawn out into wire, and, more so than most other metals, copper is an excellent conductor of electricity, which is why it is widely used in electrical circuitry. It is very malleable and copper piping readily bent, so widely used in plumbing. Also, copper being an excellent heat conductor, is useful in heat exchange systems including the immersion cylinder of domestic central heating systems. Copper is also used as a roof covering and weathers to a green colour as a surface coating of a basic carbonate (a green compound) is formed on corrosion. The alloy BRONZE is a mixture of copper (Cu) and tin (Sn) and is harder and stronger than copper or tin (both easily bent metals) and just as corrosion resistant. Bronze is used to make springs, motor bearings, bells and sculptures. The alloy cupronickel is made by mixing copper and nickel and is a hard wearing metal used in 'silver' coinage. Steel, iron or copper are used for cooking pans because they are malleable, good heat conductors and high melting. NICKEL is alloyed with copper to give 'cupro–nickel', an attractive hard wearing 'silvery' metal for coins. Zinc is used to galvanise (coat) iron or steel to sacrificially protect them from corrosion. The zinc layer can be put on the iron/steel object by chemical (see electroplating and below) or physically dipping it into a bath of molten zinc. Zinc sulphate solution can be used as the electrolyte for electroplating/galvanising objects with a zinc layer. Zinc is used as a sacrificed electrode in a zinc–carbon battery. It slowly reacts with a weakly acidic ammonium chloride paste, converting chemical energy into electrical energy. Gold is also a transition metal and gold alloys are used in jewellery because pure gold is much too soft and readily wears away. Metals like zinc, copper, nickel, palladium and silver are used to 'harden' gold. Gold has the advantage of never corroding (always nice and shiny), readily shaped and used to make attractive (and costly!) jewellery. Gold alloys are used in dentistry for tooth fillings (you wouldn't want the rotten tooth replaced by one that also corrodes!). Gold is also used in electrical circuits, excellent conductor of electricity and does NOT corrode. Gold has the greatest resistance to corrosion of any element and probably most (if not all?) alloys, so even after thousands of years, archaeologists keep on finding gold objects in good condition! Gold and carat ratings – a measure of gold's purity. Pure gold is described as 24 carat. If gold is described as 16 carat, it means 16 parts of the metal is gold and 8 parts are other metals i.e. 16 carat means 16/24ths gold i.e. 66.7% gold. Transition metal compounds (often oxides) of copper, iron, chromium and cobalt are used to pigments for artwork, and give bright colours to stained glass and ceramic/pottery glazes e.g. Paint pigments: chromium oxide Cr2O3 green, iron oxide (haematite) Fe2O3 red–brown, manganese oxide MnO2 black, copper hydroxide–carbonates (malachite–green, azurite–blue) and titanium dioxide TiO2 white. Stained glass: cobalt oxide CoO blue, iron oxide/carbonate green, Cu metal red, CuO turquoise. NICHROME is an alloy of chromium and nickel. It has a high melting point and a high electrical resistance and so it is used for electrical heating element wires. NITINIOL: Titanium and nickel are the main components of Nitinol 'smart' alloys which are very useful intermetallic compounds. Nitinol belongs to a group of shape memory alloys (SMA) which can 'remember their original shape'. For example they can regain there original shape on heating (e.g. used in thermostats in cookers , coffer makers etc.) or after release of a physical stress (e.g. used in 'bendable' eyeglass frames, very handy if you tread on them!). TITANIUM is a strong metal that has a low density and a high resistance to corrosion which makes a good structural material. Titanium alloys are amongst the strongest lightest of metal alloys and used in aircraft production. As well as its use in aeroplanes it is an important component in nuclear reactor alloys and for replacement hip joints because of its light and strong nature AND doesn't corrode easily. Titanium alloys are superior to aluminium alloys, but titanium alloys are more expensive. It is one of the main components of Nitinol 'smart' alloys. Nitinol belongs to a group of shape memory alloys (SMA) which can 'remember their original shape'. For example they can regain there original shape on heating (e.g. used in thermostats in cookers , coffer makers etc.) or after release of a physical stress (e.g. used in 'bendable' eyeglass frames, very handy if you tread on them!). The other main metal used in these very useful intermetallic compounds is nickel. Nitinol is an acronym for 'Nickel Titanium Naval Ordinance Laboratory' betraying, like so many technological developments, its military origins, but now acquiring many 'peaceful' uses. TUNGSTEN is used as the filament in light bulbs because its melting point is so high. Transition metals like platinum and rhodium are used as metal catalysts in the catalytic converters used in car vehicle exhausts to reduce carbon monoxide and nitrogen oxide polluting emissions. Bright, shiny and relatively unreactive copper, silver and gold are used in jewellery. There is a note about the bonding in metals and structure of alloys on another page. Metals can become weakened when repeatedly stressed and strained leading to changes in the crystal structure of the metal and it becomes more brittle. These faults developing in the metal structure is called 'metal fatigue' or 'stress fractures'. If the metal fatigue is significant it can lead to the collapse of a metal structure. So it is important develop alloys which are well designed, well tested and will last the expected lifetime of the structure whether it be part of an aircraft (eg titanium aircraft frame) or a part of a bridge (eg steel suspension cables). (g) What about the uses of non–transition metals? Just a little insert to remind students that there are other useful metals besides the transition metals! ALUMINIUM is NOT a transition metal ! e.g. it does not form coloured compounds, it does not act as a catalyst etc. BUT it is high melting, of low density and one of the most used and useful non–transition metals. Aluminium is rather weak BUT when alloyed with copper, manganese and magnesium and it forms a much stronger alloy called duralumin. Magnalium alloys have small amounts of magnesium (~ 5% Mg, ~95% Al) giving the aluminium greater strength, greater corrosion resistance, and lower density than pure aluminium. Therefore these are lighter stronger material and are more malleable and easier to weld than pure aluminium. These are used in aircraft construction and parts for automobiles. It does not readily corrode due to a permanent Al2O3 aluminium oxide layer that rapidly forms on the surface and does not flake off like rust does from iron, and so protects the aluminium from further oxidation. Because the strength, low density and anti–corrosion properties, aluminium alloys are used in aircraft frame construction and other fittings, window and greenhouse frames, hifi chassis etc. Titanium alloys have superior properties BUT they are more expensive. Its a good conductor of heat and can be used in radiators. Its quite a good conductor of electricity, and also because its light, it is used in conjunction with copper (excellent electrical conductor) in overhead power lines (don't want them too heavy when iced up!). The cables however do have a steel core for strength! Poorly electrical conducting ceramic materials are used to insulate the wires from the pylons and the ground. Steel or aluminium for making car bodies? Aluminium is much more costly to produce than steel. BUT aluminium is less dense (lighter) than steel and saves on fuel and therefore the car economy. ALSO, aluminium car bodies will not corrode like steel and will therefore last longer. Overall it appears at the present time that steel car bodies are used more than aluminium ones. A mixture of molten tin and lead (neither are transition metals) produces the solid alloy SOLDER which is a relatively low melting solid for electrical connections. The melting point varies with the mixture composition and doesn't have a definite melting point, but gradually solidifies on cooling making it very useful for soldering 'metal objects together'. Tin is an unreactive metal, doesn't react with water, and is used to coat more corrodible metals like iron–steel. A 'tin can' is actually made of steel with a fine protective coating of tin metal over the surface of it. Lead is a soft, very malleable relatively unreactive metal used in roofing. 'Flashings' are used to seal sections of roofs e.g. between walls and the ends of layers of tiles or slates because it doesn't react with water and is very malleable.. It is used with lead oxide in the manufacture of electrodes of road vehicle car batteries. Because of its high density it is used as a shield from dangerous alpha/beta/gamma radiation from radioactive materials and X–rays, so it is used in nuclear processing facilities etc. and radiographers wear a lead apron when you go for an X–ray on your bones. PEWTER is an alloy of mainly tin plus small amounts of copper, bismuth (Bi) and antimony (Sb), it is stronger than tin but is easy to etch and engrave. DENTAL AMALGAM ALLOY is a mixture of tin, mercury and silver (a transition metal). An amalgam is an alloy metal compound made from a mixture of mercury and other metals which may be liquid and set to a solid after preparation. When first prepared the amalgam is soft and malleable before hardening to that undesired tooth filling! It has good anti–corrosion properties and resists the attack of acidic products produced by bacteria in the mouth. However, these days, modern tooth fillings are made from a tooth–coloured resin that sets hard to any desired tooth shape. The old amalgam teeth were a bit obvious and modern consumers prefer something less obvious visually! There are also some potential health issues in using mercury amalgams because mercury is a nerve toxin if it gets into the blood stream. Iron can be made more useful by mixing it with other substances to make various types of steel. Many metals can be given a coating of a different metal to protect them or to improve their appearance. The properties of iron can be altered by adding small quantities of other metals or carbon to make steel. Steels are alloys since they are mixtures of iron with other metals or with non–metals like carbon or silicon. (2) Then pure oxygen is passed into the mixture and the non–metal impurities such as silicon or phosphorus are then converted into acidic oxides (oxidation process) ..
(3) Calcium carbonate (a base) is then added to remove the acidic oxide impurities (in an acid–base reaction). The salts produced by this reaction form a slag which can be tapped off separately. Reactions (1)–(3) produce pure iron. Calculated quantities of carbon and/or other metallic elements such as titanium, manganese or chromium are then added to make a wide range of steels with particular properties for specific purposes i.e. match the properties of the steel alloy to its use. Because of the high temperatures the mixture is stirred by bubbling in unreactive argon gas! High % carbon steel is strong but brittle. Low carbon steel (0.01-0.03% carbon), mild steel is softer and is easily shaped and pressed e.g. into a motor car body. Stainless steel alloys contain chromium and nickel and are tougher and more resistant to corrosion. Very strong steels can be made by alloying the iron with titanium or manganese metal. However, apart from expensive stainless steels using chromium and nickel mixed with iron, most steel alloys readily rusting leading to potential structural weakness and failure or the extra costs involved in protecting the steel. Weathering steel, trademark COR-TEN steel are a group of steel alloys which were developed to eliminate the need for painting, and form a stable rust-like appearance after several years exposure to weather. As you can see, it is quite a complicated mixture, but still a steel and an excellent application of chemistry to the world of art. Steel can be galvanised by coating in zinc, this is physically done by dipping the object into a bath of molten zinc. On removal and cooling a thin layer of zinc is left on. The zinc chemically bonds to the iron via the free electrons of both metals – its all the same atoms to them! It can also be done by electroplating (details below). Steel (and most metals) can be electroplated. The steel object to be plated is made the negative electrode (cathode) and placed in a solution containing ions of the plating metal. The positive electrode (anode) is made of the pure plating metal (which dissolves and forms the fresh deposit on the negative electrode). Nickel, zinc, copper, silver and gold are examples of plating metals. At the positive (+) anode, the process is an oxidation, electron loss, as the metal atoms dissolve to form metal(II) ions. at the negative (–) cathode, the process is a reduction, two electron gain by the attracted metal(II) ions to form neutral metal atoms on the surface of the metal being coated. For silver plating it is Ag+, Ag and a single electron change. Any conducting (usually metal) object can be electroplated with copper or silver for aesthetic reasons or steel with zinc or chromium as anti–corrosion protective layer. Zinc is used to make the outer casing of zinc–carbon–weak acid batteries. Zinc is alloyed with copper to make the useful metal brass (electrical plug pins). Brass alloy is stronger and more hardwearing than copper AND not as brittle as zinc. Another transition metal – Titanium – How is it produced? What is it used for? Titanium is a very important metal for various specialised uses. It is more difficult to extract from its ore than other, more common metals. Titanium is a transition metal and is strong and resistant to corrosion. Titanium alloys are amongst the strongest and lightest of metal alloys. It is used in aeroplanes, in nuclear reactor alloys and for replacement hip joints. Titanium is extracted from the raw material is the ore rutile which contains titanium dioxide. After the oxide is converted into titanium chloride TiCl4, it is then reacted with sodium or magnesium to form titanium metal and sodium chloride or magnesium chloride. This is an expensive process because sodium or magnesium are manufactured by the costly process of electrolysis (electricity is the most costly form of energy). This reaction is carried out in an atmosphere of inert argon gas so none of the metals involved becomes oxidised by atmospheric oxygen. These are examples of metal displacement reactions e.g. the less reactive titanium is displaced by the more reactive sodium or magnesium. Although most metals are relatively good conductors of electricity, all metals do offer electrical resistance. When the electric current of electrons meets some resistance in a material, the material heats up and so electrical energy is lost as heat. This electrical resistance in metals increases with temperature, so as the wire heats up, even more energy is lost. This wasted energy can be minimised if you can operate the circuit at a lower temperature, but not always practicable. If you cool a metal down to a sufficiently low temperature, all electrical resistance disappears! This is called superconductivity and the metal has become a superconductor. If there is no electrical resistance, there is no loss of electrical energy as heat, i.e. energy transfer is 100% efficient. Theoretically in a super–cooled circuit, if you could start a current flowing, it would flow forever, unless you drain some electrical energy off to do some work. Transition metals, in the middle of the periodic table (see above) are being used to develop superconducting alloys. The potential use of superconductors is enormous e.g. Power cables lose lots of energy, so zero energy loss transmission along power lines would be great. Electrical circuits e.g. in computers, would work faster. The power of electromagnets would be increased with zero resistance flow of electricity through the coils of the magnets. Unfortunately there some big technological problems inhibiting the use of superconductors. The main problem is obtaining the really low operating temperature required for superconductivity. In the first experiments, temperatures as low as –265oC were required. But, using transition metal alloys or oxides and some ceramic materials based on transitional metal compounds it is possible to get the operating temperature up to as high as –130oC !!! To get these low temperatures requires energy, which is what you are trying to save! In most 'commercial' systems many it is both uneconomic and impractical to operate electrical systems at these very low temperatures to superconduct. Until superconductors are developed that can work at room temperature, only very expensive specialised researched projects can afford to use them. Metals have a wide range of uses but quite often the pure metal is not as useful as when it is mixed with other metals and non–metals to make alloys. The alloy uses of aluminium are described and explained e.g. the uses of duralumin and magnalium. How is steel made? What do use steel for? Why are so many different steel alloys made? What is titanium like? How is titanium made? What is it manufactured for? What is titanium metal used for? How can we use electroplating to enhance the properties of materials such as metals. Alloys are very useful materials and most metals in everyday use are alloys. However pure copper, gold, iron and aluminium are too soft for many uses and so are mixed with other metals, converting them to alloys, and making them harder for everyday use. Bronze is an alloy of copper and tin and is used to make statues and decorative objects. Brass is a hard wearing alloy of copper and zinc and used to make water taps, and door fittings (e.g. door knobs). Gold used as jewellery is usually an alloy with silver, copper and zinc. Jewellers measure the proportion of gold in the alloy in carats. 24 carat being 100% (pure gold), and 18 carat being 75% gold. Iron is a much cheaper metal but can be made into a huge variety of steels alloys that contain specific amounts of carbon and other metals to suit a particular purpose. High carbon steel is strong but brittle whereas low carbon steel is softer and more easily shaped. More specialised steels containing chromium and nickel make stainless steels are hard and resistant to corrosion from air and water. Aluminium alloys are low density and their lightness and strength makes them a good material to use used in the aerospace manufacturing industry. An alloy is a mixture of a metal with other elements (metals or non–metals). Metals can be mixed together to make alloys to improve the metal's properties to better suit a particular purpose. An alloy mixture often has superior desired properties compared to the pure metal or metals i.e. the alloy has its own unique properties and a more useful metal. Quite often the presence of different atoms stops the layers of the metal sliding over each other when stressed so making the metal tougher (see Metal Structure for more details). Pure copper, lead, gold, iron and aluminium are too soft for many uses and so are mixed with small amounts of similar metals to make them harder for everyday use. These mixtures are called alloys and have range of properties that can be tailored to use for specific purposes i.e. match the properties of the alloy to its function. Aluminium can be made more resistant to corrosion by a process called anodising. Iron can be made more useful by mixing it with other substances to make various types of steel alloys. Many metals can be given a coating of a different metal, or painted, to protect them or to improve their appearance. Aluminium is theoretically a reactive metal but it is resistant to corrosion. This is because aluminium reacts in air to form a layer of aluminium oxide which then protects the aluminium from further attack and subsequently doesn't react with water and only reacts very slowly with acids. The aluminium is then placed in dilute sulphuric acid as the positive electrode (anode) used in the electrolysis of the acid. Oxygen forms on the surface of the aluminium and reacts with the aluminium metal to form a thicker protective oxide layer – anodized. The aluminium oxide layer doesn't flake off like rust does from iron or steel exposing more aluminium to corrosion. Aluminium can be alloyed to make 'Duralumin' by adding copper (and smaller amounts of magnesium, silicon and iron), to make a stronger alloy. Duralumin is used in aircraft components (low density = 'lighter'! ), greenhouse and window frames (good anti–corrosion properties), overhead power lines (quite a good conductor and 'light'), but steel strands are included to make the 'line' stronger and poorly electrical conducting ceramic materials are used to insulate the wires from the pylons and the ground. I'm informed that 'duralumin' is a defunct term? Cast iron is hard and can be used directly for some purposes, eg manhole covers, because of its strength in compression. eg low–carbon steels are easily shaped for car bodies, high–carbon steels are hard, and stainless steels are resistant to corrosion etc. and in both cases steel has superior properties compared to iron. Although the metals used in construction are strong, in some situations they may become dangerously weak e.g. If iron or steel becomes badly corroded, there is no strength in rust!, and, the thicker the rust layer, the thinner and weaker the supporting iron or steel layer, hence the possibility of structural failure. Therefore, most iron and steel structures exposed to the outside weather are maintained with a good coating of paint. Also, if metal structures e.g. in aircraft or bridges, are continually strained under stress, the crystal structure of the metal can change so it becomes brittle. This effect is called metal fatigue (stress fractures) and may lead to a very dangerous situation of mechanical failure of the structure. So it is important develop alloys which are well designed, well tested and will last the expected lifetime of the structure whether it be part of an aircraft (eg titanium aircraft frame) or a part of a bridge (eg steel suspension cables). What is titanium used for and why? Titanium is a transition metal of low density ('light'), strong and resistant to corrosion. As well as its use in aeroplanes it is an important component in nuclear reactor alloys and for replacement hip joints because of its light and strong nature AND it doesn't easily corrode. Metals can become weakened when repeatedly stressed and strained. This can lead to faults developing in the metal structure called 'metal fatigue' or 'stress fractures'. If the metal fatigue is significant it can lead to the collapse of a metal structure. So it is important develop alloys which are well designed, well tested and will last the expected lifetime of the structure whether it be part of an aircraft (eg titanium aircraft frame) or a part of a bridge (eg steel suspension cables). aqa gcse 9-1 chemistry: Be able to compare the properties of Group 1 metals with transition metals Know the transition elements are metals with similar properties which are different from those of the elements in Group 1 alkali metals. You should be able to describe the difference compared with Group 1 in melting points, densities, strength, hardness and reactivity with oxygen, water and halogens. You should be able to exemplify these general properties by reference to Cr, Mn, Fe, Co, Ni, Cu. Typical properties of transition metals Know that many transition elements have ions with different charges, form coloured compounds and are useful as catalysts. You should be able to exemplify these general properties by reference to compounds of Cr, Mn, Fe, Co, Ni, Cu.